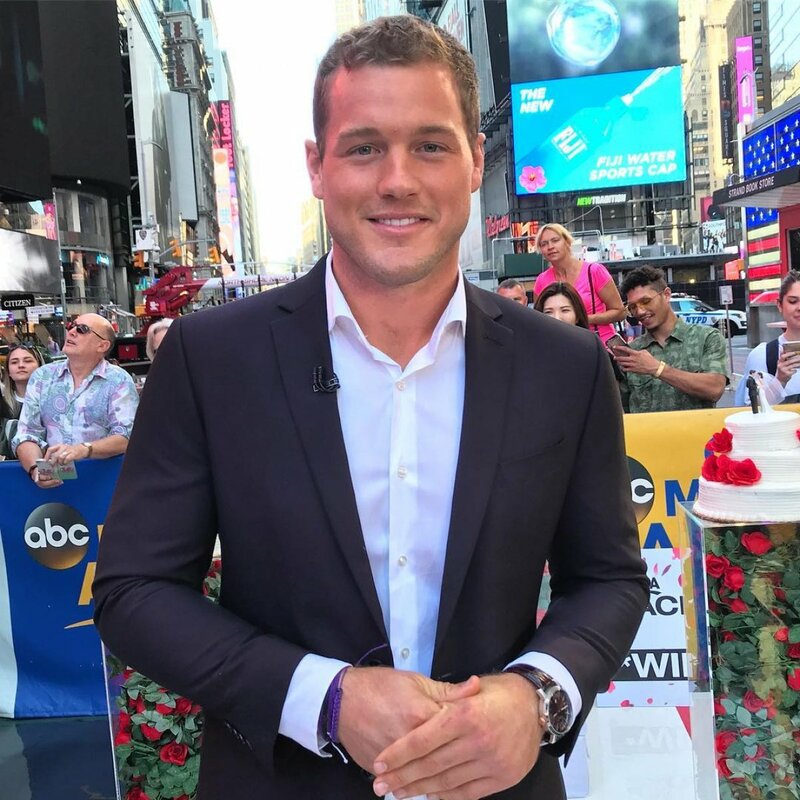 Colton Underwood has officially been cast as The Bachelor's next leading man for 2019. ABC has announced the 26-year-old will serve as The Bachelor's upcoming Season 23 star. The two-time bachelor -- who appeared on Becca Kufrin's season of The Bachelorette as well as Bachelor in Paradise's fifth season earlier this year -- said he's "very excited" about the opportunity during an interview with Michael Strahan on Tuesday's episode of Good Morning America. "Third time's the charm! That's what they say right?" Colton noted. "That's what I'm hoping for." During his stint on Bachelor in Paradise, the former professional football player broke up with Tia Booth because he felt she simply wasn't The One or right person for him. When asked if Tia will make an appearance on The Bachelor's upcoming season, Colton replied on GMA, "No. I would like to say we are finally on the same page for the first time in our relationship, and we are just good friends." Colton, a self-proclaimed virgin, insisted he doesn't have any more secrets to share on The Bachelor's 23rd season. "No. And I think that's one thing I took pride in on both seasons, just being true to who I am. And I think it took all of that to get to where I'm at now. I know who I am as a person and what I want in a life partner," Colton explained. In terms of what Colton is looking for in his ideal partner, Colton said the woman of his dreams doesn't have to be into sports. "You just have to be passionate about something. You know, sports was my passion growing up just because I saw how it transformed my life, but she just needs to be passionate about something and have passion and be a good person," Colton told Michael. Colton then confirmed he is "absolutely" hoping his The Bachelor edition will end with him getting down on one knee and proposing marriage to his final pick. "That's what I'm looking forward to the most, is being engaged and then getting married shortly after that," Colton revealed. Colton also feels the cameras will disappear once he films The Bachelor, allowing the former athlete to be his true self. "After Day 3 or 4, they just go away," said Colton, who was born in Indiana but currently resides in Denver, CO.
Colton finished in fourth place on Becca's The Bachelorette season. He fell in love with the Minnesota publicist but was denied a rose following his hometown date. In addition to dating Becca and Tia -- whom Colton met back in January 2018 and had a brief fling with before reuniting with her in Paradise this summer -- Colton was previously romantically linked to Olympic gymnast Aly Raisman. The Bachelor is expected to premiere in January 2019, and host Chris Harrison apparently has high hopes Colton will make for an entertaining season of the show. "We look at a lot of things when picking the Bachelor, and good TV and good story is a lot of it. Colton has all that in spades. There's the, 'Is he ready for this?' angle with Tia, and is that still hanging over him?... Then there's the virgin angle. We have this guy who was brought to tears during Men Tell All about dealing with this," Chris told Entertainment Tonight last week. "If he's willing to put that on display as the Bachelor, I would find that fascinating in this day and age... The women having to deal with that -- I think it would be a fascinating story, and that's a lot of what makes a good Bachelor." Reports surfaced last week Colton had been chosen by producers to star on the next The Bachelor season over other possibilities such as Jason Tartick, Blake Horstmann and Ben Higgins.